Following numerous player complaints, indie zombie-apocalypse sandbox title The War Z has been removed from sale on Steam. Kotaku provides a great, in-depth look at exactly what happened, but most complaints were due to a bevy of missing features and game hacking. The developer described items such as private servers, being able to spend XP for new skills and sprawling 400 kilometer landscapes -- none of which had actually been implemented in-game. Well, not yet, that is. 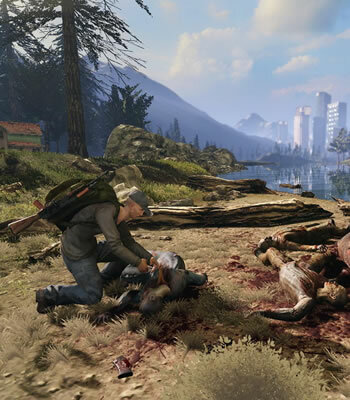 Public uproar and Valve's subsequent discontinuation of The War Z's sales seem particularly embarrassing for fledgling indie developer Hammerpoint Interactive. However, the game's executive producer issued this somewhat backhanded apology to players, suggesting that customers were actually the ones who futzed up -- they should have realized some listed features were still in development. ... it was clear that there were a number of customers that felt that information about the game was presented in a way that could have allowed for multiple interpretations. Player furor also prompted this thread, which attempts to explain some of the shortcomings the game's "Foundation Release" currently exhibits. Valve began issuing refunds to angry customers after determining The War Z's release was "premature". The company temporarily suspended sales of the title until it has "confidence in a new build" from the developer. Although The War Z is no longer for sale via Steam, it does still have a place in its catalog -- Valve simply removed the option to purchase the game. Anyone interesting in buying the game may still do so at the publisher's website.